Paper artist Lisa Nilsson (previously) recently completed a number of new anatomical pieces using her profoundly incredible skill with quilling, a tedious process where paper is tightly wound into small rolls and then assembled into larger artworks. The natural formation of the paper coupled with Nilsson’s ability to identify the precise materials to mimic organic structures makes each artwork appear uncannily like actual cross-sections of humans and animals. The artist has a number of new works currently on display at the Boston Art Gallery as part of the exhibition Teaching the Body: Artistic Anatomy in the American Academy through March 31, 2013. Don’t miss it. Photography by John Polak. 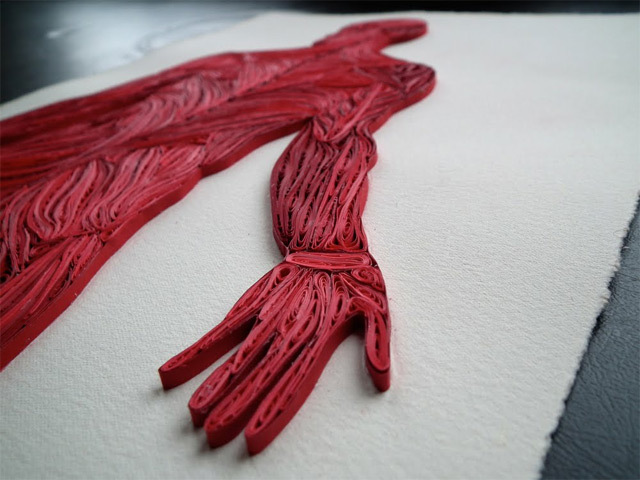 For her Tissue Series, artist Lisa Nilsson constructs anatomical cross sections of the human body using rolled pieces of Japanese mulberry paper, a technique known as quilling or paper filigree. 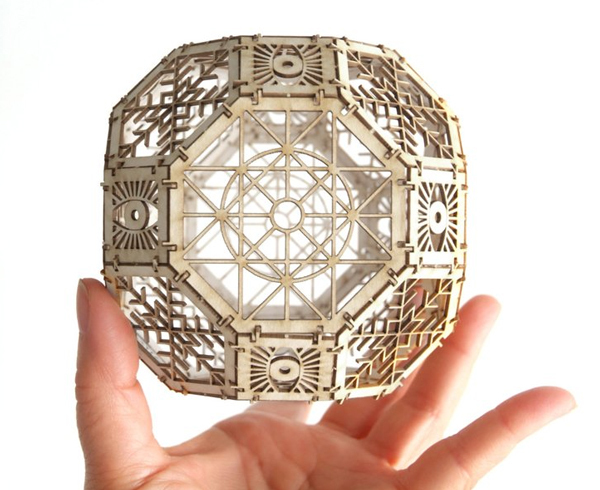 Each piece takes several weeks to assemble and begins with an actual photograph of a lateral or mid-sagittal cross section to which she begins pinning small rolls of paper. Depending on its function she rolls the paper on almost anything small and cylindrical including pins, needles, dowels, and drill bits (she even attempted using some of her husband’s 8mm film editing equipment but to no avail). Lastly she even builds the wooden boxes containing the cross-sections by hand. A graduate of RISD, Nilsson now lives and works in Massachusetts and you can learn more about her process in this pair of interviews on All Things Paper and ArtSake.